On August 11th, 2016 I drove from Olympia to Tacoma Community College to photograph a Farewell Celebration for the students from the University of Kitakyushu (UKK in Kitakyushu-City, Fukuoka Prefecture, Japan.) Tacoma and Kitakyushu are sister cities and every six months approximately 25 students come to study at TCC for 2 quarters. The students attend classes at TCC and live with local host families so that they get a truly immersed and authentic experience. Making new friends, improving English speaking skills and to be happy were some of the goals these students arrived with. Now, in these final days I captured friendly encounters, comfortable conversations in English and so many smiles. The positive impact of their time here in Washington was very real and very apparent. Side by side with the members of their host families, fellow students, student mentors and TCC Global program staff these students celebrated their experience and prepared themselves for their futures after returning home. I saw many tears but more importantly I saw love and laughter, in their six months here the students formed so many special bonds, and thanks to social media, they will never be broken. This experience was very familiar for me and seeing the students emotions and interactions with their host families brought back a flood of memories. 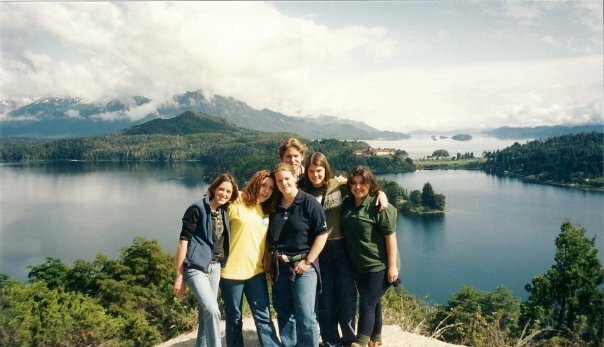 In summer of 1999, at age 16, I myself embarked on a journey of a lifetime and traveled to the city of Catamarca, Argentina. As an exchange student, I spent one year living in another culture, speaking a different language and interacting with people from all over the world. Memories from this year are, to this day, some of my most coveted. I learned so much from my experience and I see study abroad as such a powerful tool for learning tolerance, acceptance and independence. This was the 16th cohort and 2016-2017 will be the 9th year for this fantastic and oh-so vital program. I look forward to capturing more events for the TCC Global Program.